I have had a concept for a “Margarita Run” ever since I started this blog. Basically the idea was to get a group of friends together, visit several places in one night, and sample Margaritas everywhere we went. However, plans kept falling through so it had yet to materialize. However, May being my birthday month and this being my 40th birthday year (#yearof40), my wife and I made certain a Margarita run happened this time. I researched a lot of places in St. Louis and made a list of places we would visit this night. Our first stop was one of our favorites, Milagro Modern Mexican. Our original plan was to stop at 6 different places and try a Margarita at each. This later got shortened to just 5 places! Regardless, I planned to pace myself and have just one Margarita at each stop. For Milagro’s, I chose their Top Shelf Margarita with Don Julio tequila. As before, the Margarita was amazing. Looking over the ingredients listed on the menu, this isn’t surprising. It is very similar to my “Pure Mexican” Margarita that I’ve been making at home: 100% agave tequila, fresh lime juice, agave nectar, and a Cointreau float. With the only difference being the Cointreau, I knew the rest of the ingredients could make a very good Margarita. I strongly suggested that everyone in our party have a Top Shelf Margarita with their choice of tequila and just about everyone did. The consensus was that this was one of the best Margaritas they’ve ever had. 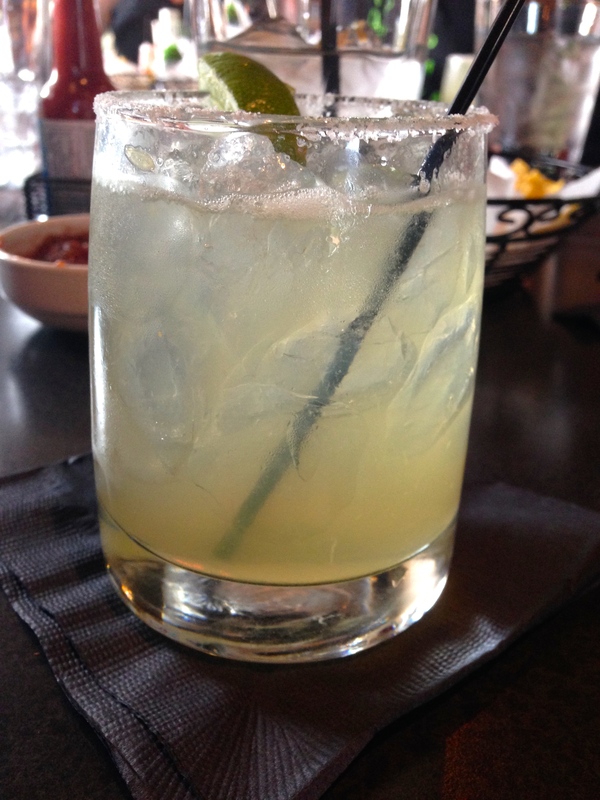 Given that we’ve been to Milagro 3 times now, their Margaritas have been excellent every time, and adding to it the opinions of our Margarita Run party, I now rate the Milagro Top Shelf Margarita a 9. Having had our fill of tasty appetizers and Margaritas at Milagro’s, we were on to the next stop on my Margarita Run, Amigos Cantina!